As we welcome the new principal, Juliette McMurray, to Fort Street High School let’s look back at some of our principals from the past. In this edition we’ll look at Clarice Morris’ research of Fort Street’s first Headmaster. Fort Street was opened with Daniel O’Driscoll as temporary Headmaster but the National Educational Board had to face an important reality. They could not declare Fort Street a Model School until it had acquired a permanent Headmaster. The first of the great headmasters did not arrive from Britain with a fanfare of trumpets. 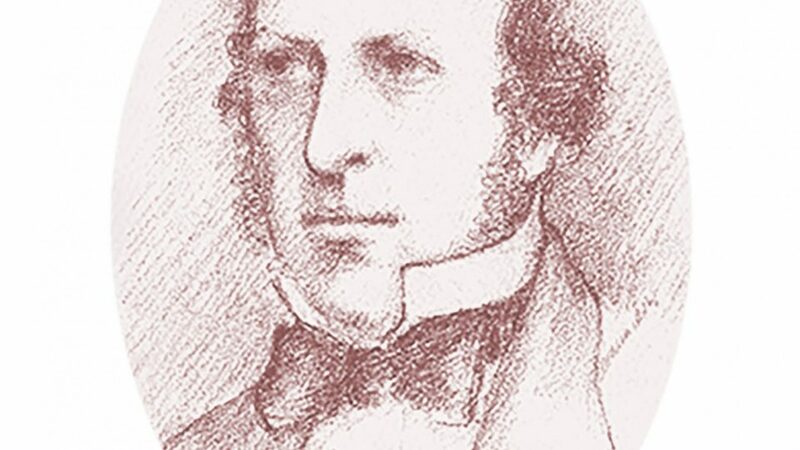 William Wilkins who was principal from 1851-1854 came under a cloud. Not only did Wilkins arrive after the death of his wife and newborn during the journey to Australia but the British Colonial Office sent Wilkins under false pretence. The National Board of Education had requested a teacher trained under the National Board of Education in Ireland but Wilkins, though he proved to be an inspiring Headmaster and competent organiser, was trained in England at the Battersea Training College. There was a certain grudging acceptance of Wilkins by the Board, and a critical tolerance of his conditions by Wilkins, who when he took charge of Fort Street School, found it “defective in organisation, in discipline, and in the methods of teaching employed”. But within a year of his leadership the school had improved so much that it was considered “to fully justify its title of Model School”. The word MODEL at that time implied that the school, founded at the same time as the University of Sydney, would act as a model in organisation, instruction and discipline to teachers trained on its premises. It is interesting in the light of present day teacher training methods to recall that Wilkins suggested to the Board that even teachers previously appointed to other schools should attend Fort Street for a month “to qualify subsequently for a permanent position”. The Fort Street Ethos, the striving for excellence, had begun. Putting oneself in Wilkins’ position it may be possible to understand the uphill struggle he had to introduce more culture into the school’s curriculum. Sydney was a port and commercial town by the time of his arrival. It contained more than a quarter of the State’s population, a growing sense of political awareness, especially in opposition to the “Squattocracy”, yet it still had pockets of disease to say nothing of the occasional stench of offal on the premises of butchers within the city limits. One of Wilkins’ continuing problems was how to supply sufficient teachers for vacant schools. One of his most admirable qualities was the ability’ to rise to the occasion. In fact, he displayed astute initiative when he put forward the suggestion that pupil-teachers fill the gap where staff shortage existed. The success of Wilkins’ training programme was such that he was able to suggest that some pupil-teachers might be appointed to Fort Street itself, even before completing their apprenticeship. One of the most outstanding of such pupil-teachers was Frederick Bridges who enrolled when the school first opened, and at the age of twelve in 1852 became a pupil-teacher. Such was young Fred’s potential that he was the first male pupil-teacher gazetted in Australia and he eventually became Headmaster of his old School in 1867. Wilkins himself gradually won the respect and admiration of the National Education Board despite their first reaction to him on arrival from England. As the pacemaker for many famous principals to follow, Wilkins believed in as broad a cultural education as possible. His progressive work at Fort Street ultimately earned him promotion to the position of Inspector and Superintendent of Model Schools.